It is hard for me to comprehend that 2017 has come and gone. It is a year that I am eager to put behind me, although I am grateful for the lessons and life experiences it brought me. As I mark the passing of one year into another, I find it important to mark the moment, even if it is not at the stroke of midnight on the 31st-1st (generally, because I am asleep by then!) Over the years, I’ve developed some rituals to mark the passing of one year and the welcoming of another that inspire me on a deeper level. A favorite custom of mine that I first learned at the Unity Church, where dear friends of ours were ministers, is a “bowl burning ritual.” Rich in symbolism, the bowl burning represents a celebration of all that we are grateful for and a release of all that is unnecessary. It’s a gesture of commencement. Here’s how to have your own ceremony. First, write a list of all the things you are grateful for. Then, write a list of what you want to release and not carry with you into the New Year. This list is placed in a metal bowl or fireproof container, along with the notes of others if you are doing this in a group, and the papers are lit. This creates a fire, symbolizing the release of any negative feelings, behaviors and experiences in order to make room for new (and hopefully better) ones in the new year. The New Year is a time of significant symbolic change and its celebrations take many different shapes and forms, whether you are at parties, at home or on a retreat. However you choose to mark the transition from one year to the next is a very individualized choice and no matter what form this takes for you, use this as a time to be grateful for all that has passed and open up to all that is to come. As I write my list of things I am grateful for, it is topped by being fortunate to work with so many wonderful people at D'Adamo Personalized Nutrition and by our fantastic customers, who inspire me and remind me of why I love what I do. On behalf of Peter, myself and all the staff at DPN, we wish you good health, love, and self expression in 2018. New Year’s Resolutions are a dime a dozen in the opening weeks of January, as people make themselves promises they are bound to break. The best resolution you can make is to commit yourself to achieving better health in 2018. While this goal may seem lofty, it is simple and easily attainable by following our personalized 6-Week Ultimate Metabolism Program. 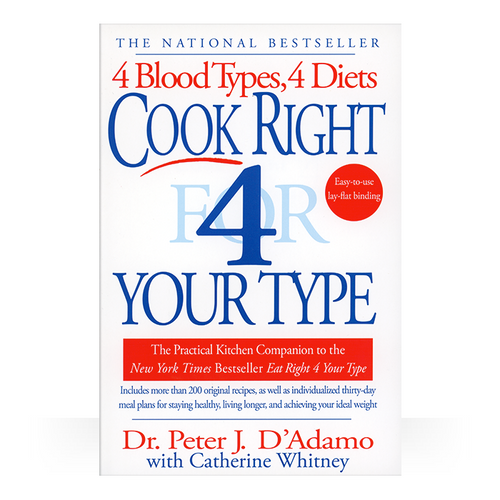 Jump start your weight loss program or conquer a diet plateau with Dr. Peter J. D’Adamo’s revolutionary Blood Type Diet paired with his Ultimate Metabolism Pack and exercises best for your blood type. In only 3 simple steps, you could be on your way to starting off 2018 healthier than ever. While the Blood Type Diet allows for 80% compliance, to truly optimize your opening weeks, strive to be 100% compliant. Focus on eating beneficial foods for your type for the best results. Boost your metabolism, regulate blood sugar which causes cravings and protect yourself from lectin damage with Dr. D'Adamo's Ultimate Metabolism Pack, our featured product pack of the month shown below. Pairing your diet with proper exercises best for your blood type will result in noticeable improvements to your weight and energy levels. While overall health and vitality are the best things that the diet brings to the table, we all know that weight loss is paramount for many people, especially after holiday indulgences. 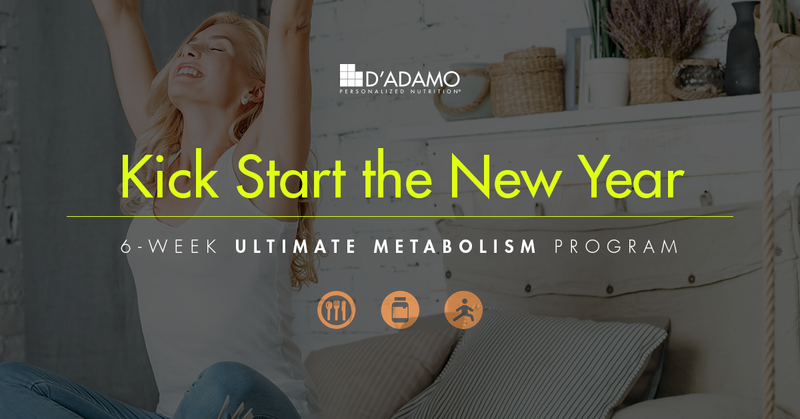 With this in mind, Dr. D’Adamo created a special pack of four products that work together synergistically to get your body burning fat and using energy more optimally than ever. If you are new to the diet, it will maximize your results, and if you are a long-term follower, it very well could get you past plateaus that you thought were impossible to overcome. El Dorado: a unique combination of herbs that stimulate the energy centers of your cells, thereby boosting their ability to metabolize and burn calories. 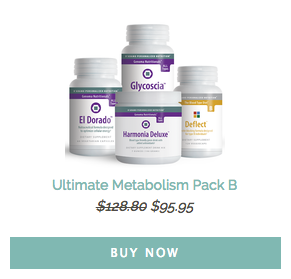 Glycoscia: naturally balances blood sugar levels, preventing the spikes and dips that result in cravings and out-of-control eating. Deflect: made specifically for each blood type, Deflect is formulated to block harmful lectins and repair existing lectin damage. Harmonia Deluxe: an alkalizing beverage powder that supports the body's natural weight loss processes. Packed with antioxidants and nutrients, it's a delicious way to introduce more healthy greens into your daily diet! 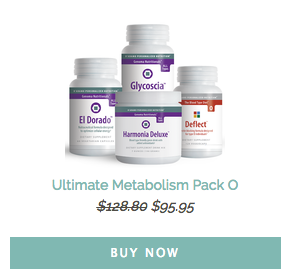 Dr. D’Adamo has been recommending this product combination at his clinic for years, and most of his patients who add this protocol to their Blood Type Diet lifestyle report a slimmer, trimmer body in just six weeks! If you start right now, by mid-February you will not only look and feel better, but you will have a bevy of healthy habits built up from the diet and be well on your way to becoming a long-term follower and much healthier person. I am 58 years old and have been ill for at least 40 of them. The list of chronic issues is almost too long to explain. First were the migraines, pounding, persistent ones that could last for stretches of a week at a time. My gastrointestinal health was also poor, leading me to have a collection of ulcers and an almost constant feeling of bloatedness along with leaky gut and candida. On top of all that, I was diagnosed with Behcet’s Disease, a rare disorder that causes blood vessel inflammation throughout the body. It manifested itself most clearly through retinal problems, but also added vasculitis and arthritis into the mix too. My whole life up to this point, I had been eating what I thought was a healthy diet. I ate almost exclusively organic food, much of it raised right in my own garden! I didn’t understand my unhealthiness. My patience reached a breaking point when my Behcet's became so severe that I was spending thousands in medical bills just to combat it. When the most basic treatments weren’t working, I was advised to take the next step, which involved injections every two weeks to quell symptoms. At this point, I visited a naturopath, as I felt that the cost and the physical toll of so many chemicals was adding up too quickly. Upon performing a blood test, the doctor determined that not only did I have allergies that were at dangerous levels for some foods, like tree nuts and dried beans, but that my body was hyperreactive to many other foods too. He didn’t put me on the Blood Type Diet, and instead implemented a broad, sweeping suggestion that removed a huge amount of foods from my diet based on my allergies. I lost 40 pounds during this stretch of time where I had little to no options for what to eat. As soon as I tried to reintroduce anything different to my diet, even if it seemed like a healthy choice, the stomach pains and chronic problems flared up. While the weight loss was promising, the protocol wasn’t something that could be maintained long-term. I felt lost. My friend mentioned the Blood Type Diet to me at this point of despair and I immediately bought the book and started reading. Just from Dr. D’Adamo’s descriptions, I sensed that I had to be a Blood Type O. I took the test, and sure enough, I was. When I read about secretor status, I also had a strong inclination that I must be a non-secretor due to my body’s sensitivities, and yet again, I was right. Just feeling like Dr. D’Adamo knew me already made the book and the diet seem incredibly promising to me. The results only furthered this feeling. After just a few weeks, I lost 7 pounds and didn’t have the digestive struggles of before. After one cheating weekend where I ate only avoid foods, the weight and sluggishness all came back. It showed me how powerful eating right can be. I am looking forward to continuing the journey and healing the leaky gut and other chronic issues I have over time. Losing the weight and getting off my pricey prescriptions are the dream goal, but just being able to be in a body that isn’t overweight and rife with pain and chronic issues is a blessing on its own. I can’t wait to see where this journey takes me. I have great optimism as I near 60 that these years ahead might be the healthiest of my life. 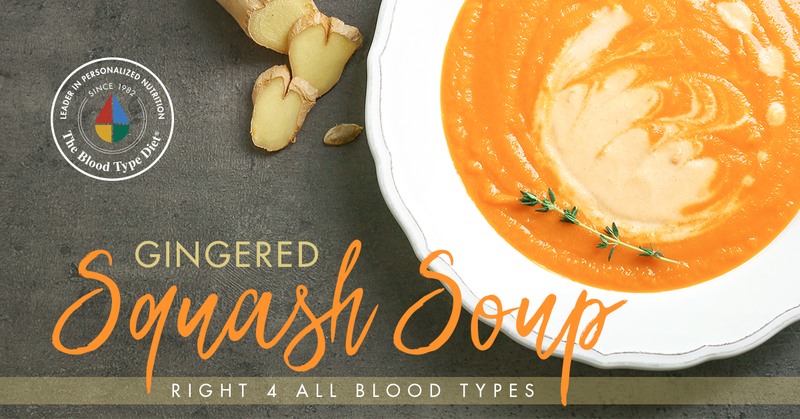 Weight Loss Trust talked about the basic premise of the Blood Type Diet®, including its overwhelmingly positive effect on a majority of the people who try it! 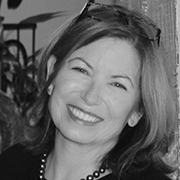 Dr. Lisa Price interviewed Dr. Peter D’Adamo on her radio show “The Feed” on December 9th, 2017. They discussed much of the work he has done in his career from The Blood Type Diet® to his brilliant clinician based genetic analysis software, Opus23. With 2018 marking the 20th anniversary of Dr. Peter J. D'Adamo's Cook Right 4 Your Type, we thought it the perfect time to highlight one of the over 200 original recipes from the book. To keep in tune with the season, we picked a Gingered Squash Soup (pg. 231-232), a warm and hearty dish that is highly beneficial for all blood types! Carefully peel squash. Most squash tend to be quite hard, so caution is advised in the initial preparation. Always cut flat side down. Cut squash in half and scoop out seeds. Seeds can be set aside for roasting, as they’re not only delicious but a valuable source of zinc. Continue to cut squash into smaller pieces until you have manageable cubes. Peel cubes with a small, sharp knife. Cut into pieces and place in a heavy-bottomed pot. Add garlic, ginger and salt. Cover with water or turkey stock and bring to a boil. Reduce heat and simmer until the squash is tender and easily pierced with the tip of a knife. Transfer mixture into a food processor or blender and puree until smooth. pick up your copy of Cook Right 4 Your Type!